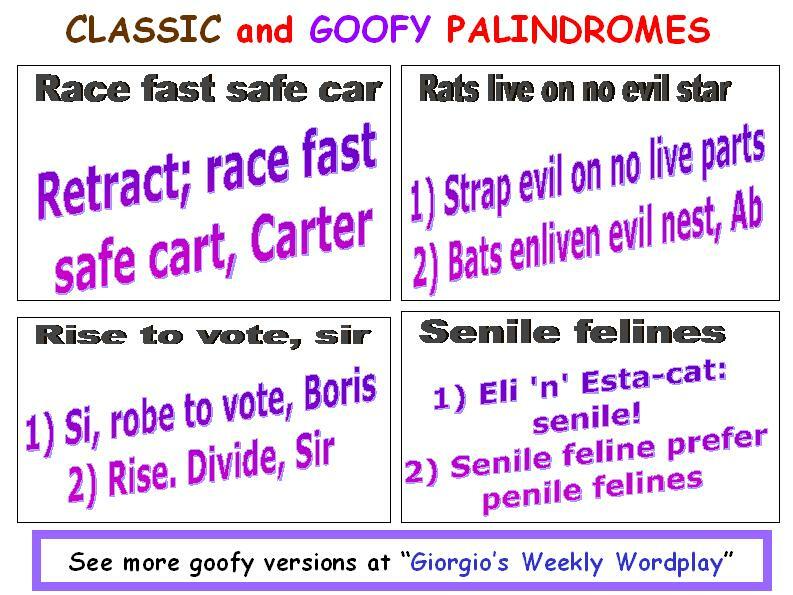 CREATIVE WORDPLAY, based on "classic" palindromes. 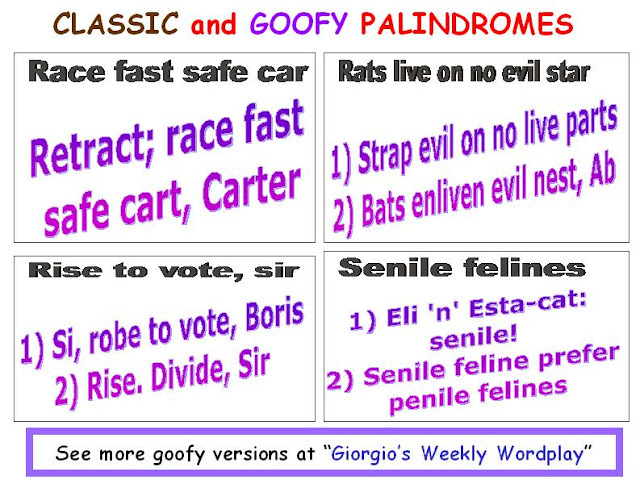 This post is a continuation of post #20 and post #29, alphabetic lists of "classic" palindromes with recently concocted goofier variants. 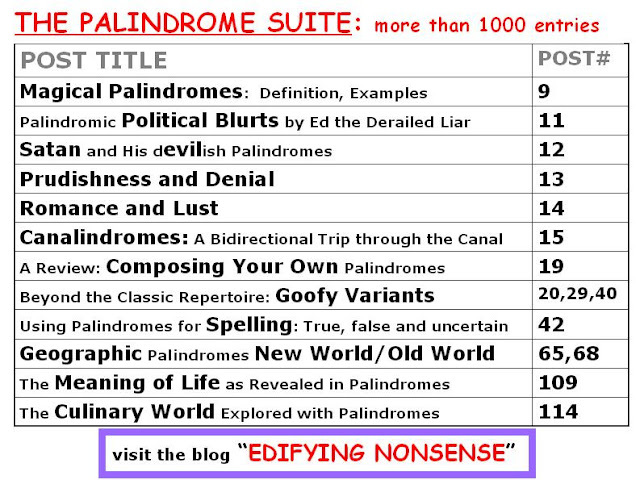 The variants are primarily previously unpublished material compiled by the editor. 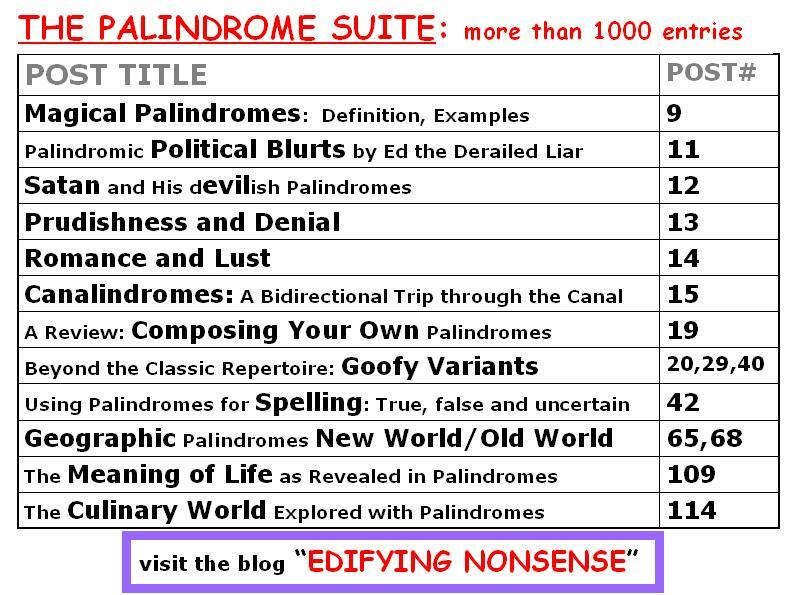 EDITED: Giorgio Coniglio, April 2017.